Symphonica: Armand Van Helden with the MSO — Jamie Messenger— Australian Composer and Producer of Music for Film, Television and Advertising. Specialising in Orchestral Composition and Arrangements. 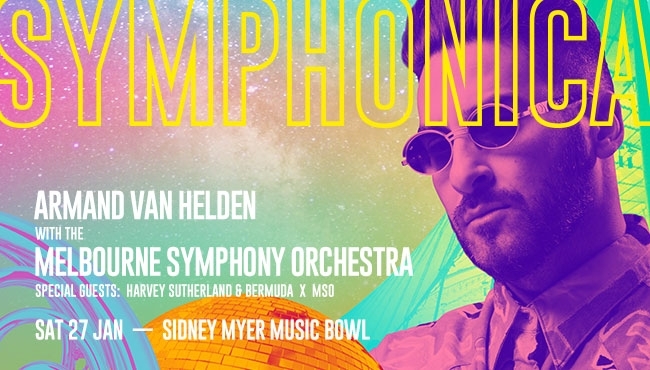 Jamie Messenger is joining forces with the Melbourne Symphony Orchestra and international house music legend Armand Van Helden for the inaugural Symphonica concert this Australia Day weekend. Teaming up with fellow Australian composer Joe Twist, the two composers will be arranging for the 70 piece symphony orchestra his long list of house anthems including the likes of "U Don't Know Me," "My My My", "Bonkers (feat. Dizie Rascal) and his legendary remix of Tori Amos' "Professional Widow". For tickets and further details click the image below.